Hemisphere acquired a majority interest in the 21-acre LTV Copperweld site from the LTV bankruptcy trustee on the eve of the bankruptcy liquidation process. 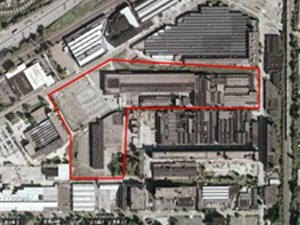 The property, located at 12610 Kirby Avenue on the east side of Cleveland, Ohio, is less than ½ mile from an I-90 interchange and consisted of over 420,000 square feet of highly-distressed industrial / manufacturing space. 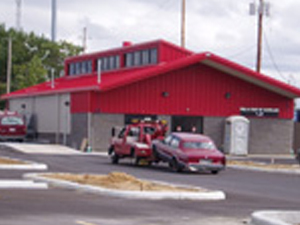 LTV Steel utilized this facility for its LTV Copperweld steel tubing production lines. Prior to LTV’s ownership, the property was owned by Republic Steel, which ultimately was acquired by LTV. The facility was shuttered in the late 1990s and sold as part of LTV’s bankruptcy liquidation process. 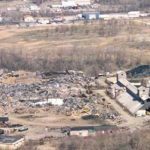 Environmental remediation activities included all activities necessary to receive a No Further Action Letter through the Ohio Voluntary Action Program (“Ohio VAP”), as well as removal of all asbestos-containing materials throughout the expansive former industrial facilities. As part of the sale and redevelopment, Hemisphere demolished all 420,000 square feet of former industrial site buildings. No public funds were used during the redevelopment process. 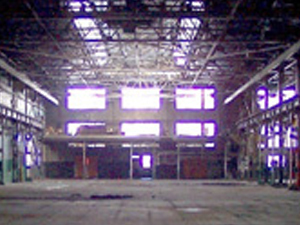 Hemisphere’s initial vision was to re-market the two main buildings as a multi-tenant industrial facility. 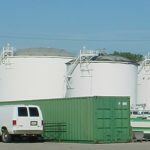 However, based on the site’s large size and favorable zoning and location, the entire site was sold to a national operator of automotive parts recycling facilities in September 2007. All redevelopment activity is now complete.